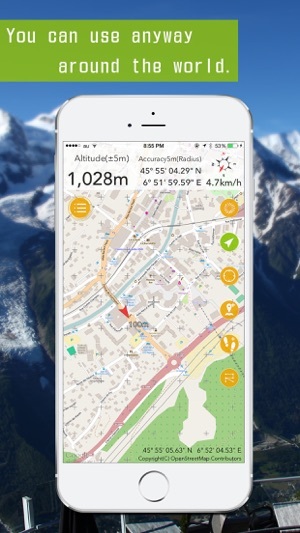 - Geographica: GPS map app which can use even offline. 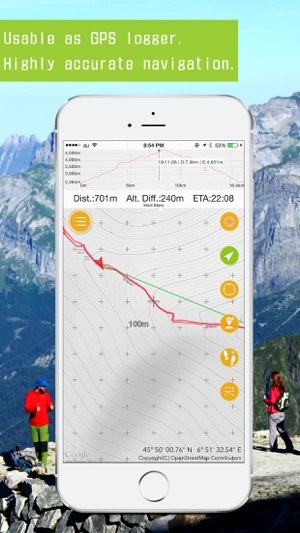 Geographica is a [Map Caching Offline GPS app] for mountaineering. Once you viewed a map image on the screen, that will be stored in your device. 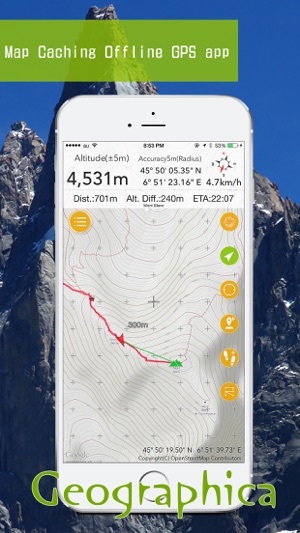 Therefore with this app you can check maps even in the wilderness without mobile phone signal or internet connection. 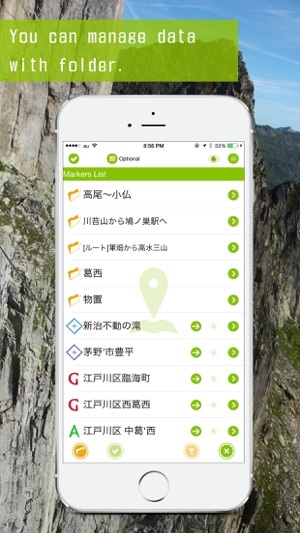 Moreover, you can use GPS navigation offline. 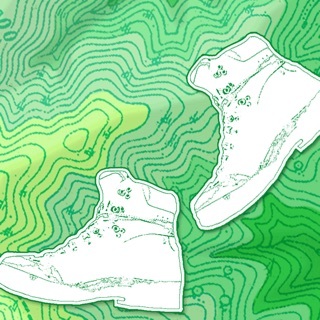 -Cached Maps are usable even though offline. 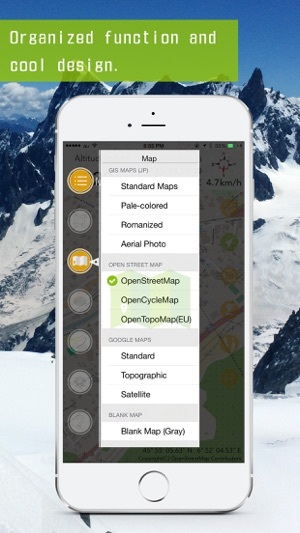 -Several types of maps available such as OpenStreetMap, etc. -Create Markers, a.k.a. POI, and show them. -Navigation function using Markers and Routes. -Speech function lets you know time, coordinates, speed, etc. with a voice. -iOS7.1 or later. iPhone series. *Cautions; Please be sure to read the following. - Developer do not take any responsibility for damage caused by using Geographica (will write as "this app" in the following). - Developer do not take any responsibility for accuracy, reliability and usefulness of the information provided by this app. Please use at your own risk. And also set other than [Never] to this app on an app-by-app basis. 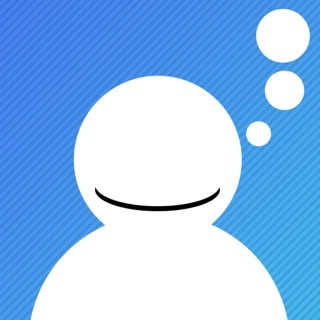 - This app use the background audio. For the record confirmation of track log and voice guide. - This app is using Google Maps SDK, and web services from Geographical Survey Institute, OpenStreetMaps, etc. - Please note that this app may be in unusable status due to each web service's operation status or specification changes. 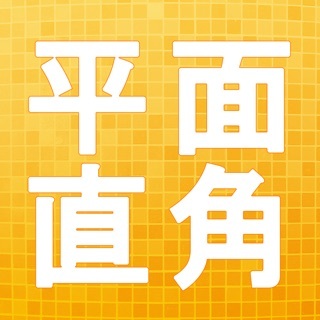 - Asia Air Survey Co., Ltd.
- Rebuilt was updated and rebuilt in Xcode 10. Best app for hiking in Japan I've found. Downloads maps offline automatically as you scroll around! Pay for more storage. Google maps plus topo overlay.